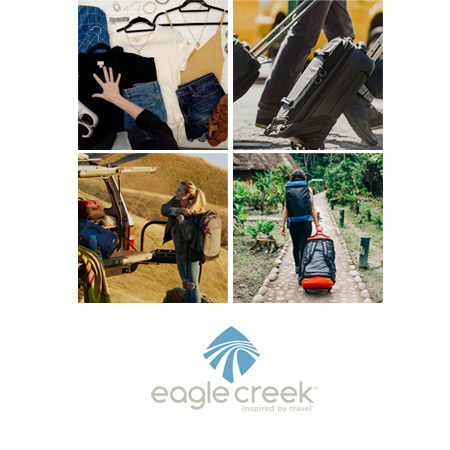 Come to the store and learn travel packing tips from an Eagle Creek representative. Ever have a TSA agent toss around your personal unmentionables at the airport screening area? Tired of digging through your luggage to find your headphones before the inflight movie begins? Need to make packing easier and more convenient for your family? 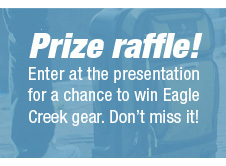 Come to our Eagle Creek Pack-It Event and learn how to pack efficiently and effortlessly for a more relaxed trip. You’ll also learn how to avoid TSA slowdowns and embarrassments. If you’re travelling for March Break, you won’t want to miss these tips! February 13th, 7pm, at the store. Seating is limited, CLICK HERE to sign up via Eventbrite.ca now!